Trick or treat? This October looks to have a lot of treats as we continue rolling along to the holiday season. Here are six games you should have on your Halloween wish list. Xbox Live Gold members will receive free access to a downloadable version of Bungie's Halo 3 in October, months after it was initially revealed as part of Microsoft's Games with Gold program. Similar to Sony's PlayStation Plus initiative, the Games with Gold promotion gives subscribers two free Xbox 360 games monthly. Capybara Games' Xbox Live Arcade puzzler Might & Magic Heroes joins Halo 3 as part of October's announced lineup. Previous Games with Gold inductees include Dead Rising 2, Crackdown, and Assassin's Creed 2. Games with Gold members get Halo 3 in October originally appeared on Joystiq on Mon, 30 Sep 2013 18:00:00 EST. Please see our terms for use of feeds. With Assassin's Creed 4: Black Flag, Ubisoft Montreal steers its historical action-adventure franchise into the calming blue seas of an 18th century Caribbean. The tranquility lasts until new protagonist Edward Kenway spies a ship in his telescopic glass - prompting a new piratical opportunity to shoot it, sink it or swing onto its deck and run those fretting sailors through. We discuss the successes of sailing in our video recap above, along with Kenway's on-foot encounters with assassination and shrub-based stealth. There's also a strong implication of which aquatic animals are best suited to crafting holsters. Okay, it's the sharks. We just don't like the sharks. 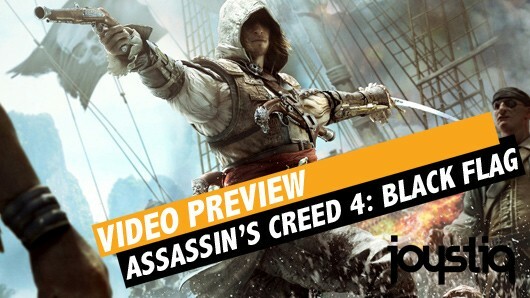 Assassin's Creed 4: Black Flag Video Preview originally appeared on Joystiq on Mon, 30 Sep 2013 16:55:00 EST. Please see our terms for use of feeds. Good news for Killzone fans who will perhaps be a little fatigued by the franchise once they're done with the PlayStation 4 launch title Killzone: Shadow Fall, Guerilla Games are currently working on a brand new IP. "As a studio we do want to branch out, and we have started work on a new IP, something completely different to Killzone. I don't want to say anything about it right now, but as a studio we do want to keep it fresh." Mega Man 2 sound composer Takashi Tateishi (above, right) has joined Keiji Inafune's team at Concept, and will help score the Kickstarter-funded Mega Man spiritual successor game Mighty No. 9. Composing under the pseudonym "Ogeretsu Kun," Tateishi's works helped define the 8-bit era, and his Mega Man 2 soundtrack is particularly memorable. If you want to sample Tateishi's creations (assuming that they aren't running in a near-constant loop inside your brain already), Wily Stage 1 is a good place to start. Air Man's a classic, too. I'm all about Bubble Man, personally. The Kickstarter project for Mighty No. 9 recently crested $3 million in pledges, and has entered its final 48 hours. In addition to previously announced releases for the PlayStation 3, Xbox 360, Wii U, PC, and Mac, Mighty No. 9 will also hit the Xbox One and PlayStation 4 if funding reaches $3.3 million by the campaign's conclusion. Mega Man 2 composer joins Mighty No. 9 as funding campaign concludes originally appeared on Joystiq on Mon, 30 Sep 2013 14:15:00 EST. Please see our terms for use of feeds. There aren't many games capable of dethroning Grand Theft Auto 5 as the UK Number 1, but FIFA 14 is definitely one of them. EA's soccer sim dispossessed GTA 5 as it was always going to do, but Rockstar's second week sales equate to the 18th biggest if ranked against all first week sales; that's despite a 83 percent drop from last week. That gives you an idea of just how big a deal FIFA 14 is, although that's with a 24 percent drop in first week sales compared to last year's FIFA 13. Chart Track wagers the money spent on GTA V last week might be a factor, but we suspect FIFA 14 being a freebie with Xbox One Day One pre-orders in Europe has more to do with it. Other games aren't stupid enough to take on the FIFA behemoth, especially a week after GTA V came out, so the rest of the charts is pretty quiet. Nonetheless, you can check out the top ten after the break. FIFA 14 tops UK charts despite 24 percent year-on-year drop originally appeared on Joystiq on Mon, 30 Sep 2013 08:30:00 EST. Please see our terms for use of feeds. F1 2013 takes you on a nostalgia trip into the history of Formula One, while compelling new modes and subtle improvements layer atop a familiar, but winning formula. If you were worried about Dark Souls II being too easy compared to its predecessors, you can lay your worries to rest. If the demo is representative of early parts of the game, it is considerably harder. To put this into context, you could win a free t-shirt if you defeated the final boss. One of the developers informed me that 18 of the roughly 400 people who had tried the demo had managed to do that. I was not one of them. In the demo, you could choose from four classes: the Warrior (who uses a sword and shield), the Sorcerer (who uses the same spell system as he did in Dark Souls; unfortunately I floundered with him, gave up and switched to the warrior), the Temple Knight (who uses miracles and melee combat) and a new class called the Dual Swordsman who, as his name might suggest, dual-wields swords but cannot block. Enemies take a lot of punishment, and all attack at once. You will need a great deal of proficiency with blocking and dodging to survive, and you won’t survive every time. The death system seems to have changed a bit, though this could just have been for the purposes of the demo: dying knocks you back to the last checkpoint, but hollow form doesn’t seem to exist anymore, and you can’t reclaim lost souls (not that there’s anything to buy within the demo). One new mechanic involved carrying a lit torch so that I could see in a pitch-black alleyway, and having to sprint back and re-equip a shield when an enormous enemy attacked. The Binding of Isaac has turned 2 years old, but it's gamers that get the birthday presents. 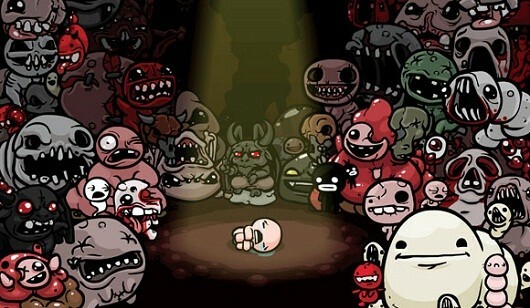 For one day, The Binding of Isaac is $1 on Steam, an 80 percent cut from its usual $5 price tag. In addition, the creators of Indie Game: The Movie have released on YouTube a 30-minute excerpt from their documentary in which Isaac designer Edmund McMillen details the origins of his game. McMillen explained Isaac was originally conceived as a game to be made in a week, while his friend and co-designer of Super Meat Boy, Tommy Refenes, went on vacation. "I didn't really have any idea of what I wanted to do, but I definitely wanted to do something risky," McMillen said. "I wanted to do something exciting, because I wanted something to replace that danger of running out of money, and the danger was, maybe I was going to do something that could hurt my career in some way." Two years and 2 million sales later, it seems the game-in-a-week experiment worked. The Binding of Isaac turns 2, celebrates with sale and documentary originally appeared on Joystiq on Sun, 29 Sep 2013 19:30:00 EST. Please see our terms for use of feeds. I was both pleasantly surprised and a little disappointed (because I love Ratchet and wish it were more popular) to note that there was almost no wait to get my hands on the new Ratchet & Clank game, Nexus (called Into the Nexus in North America) at Eurogamer Expo. It’s been a bad few years for the series: A Crack in Time was the last truly great entry. It was followed by a disappointing multiplayer-only game, All 4 One, and a disappointing tower defence game, Full Frontal Assault/Q-Force. Fortunately, however, Nexus is looking to be a return to form. With minimal introduction, Ratchet and Clank land on Planet Yerek, tasked with doing something, though I don’t really know what, because there was no sound and the subtitles were small and difficult to read in the middle of combat. I got to try out both combat and puzzling as Ratchet, and some Clank platforming segments as well.